Founded in 2009, Educational Solutions Consulting (ESC) is a team of seasoned and savvy K–12 industry veterans who know what it takes to find your initial market and expand into a new one. Our knowledge of the field and our network of partnerships give us a unique lay of the land, allowing us to position your business in a changing marketplace. If your product or service has an audience in K–12, we’ll find it. We help address your big-picture goals by tapping our extensive cohort of superintendent partners to map the educational landscape and help you determine where best to build or invest. Once you know your market inside and out, our marketing and strategic communications support ensures that your message will find its audience. Whether you are looking to close your first district, your 11th, your 26th, or your 101st, , ESC can help you reach the next level. Doug has worked with leading edtech entrepreneurs and district administrators for almost twenty years, developing partnerships that improve outcomes for students and help nascent organizations find their footing. Through his work with Amplify (formerly Wireless Generation), Children’s Progress, Engrade, ThinkCERCA, Better Lesson, Kinvolved, KickUp, and other successful edtech businesses, Doug mastered the art of navigating complex sales scenarios to get big wins. He’s also an entrepreneur himself—founding both Educational Solutions Consulting and the Institute for Education Innovation—so he has firsthand knowledge of what it takes to establish and grow a business. A Princeton graduate, Doug is a former public high school social studies teacher and ed tech business development executive who earned his Ed.M. in Teaching and Curriculum from the Harvard University Graduate School of Education. Doug was also elected to serve his community as a member of the Board of Trustees in the Village of Greenport, where he lives with his wife, daughter, and two dogs. On weekends, you’ll find him sailing the Peconic Bay or hiking coastal nature preserves. Franco came to sales by way of human resources, where he specialized in recruitment. He is most passionate about establishing partnerships and selling solutions that improve the quality of people's lives. He entered the K–12 education sector to have a positive impact on children and to help shape today's students into tomorrow's leaders. Franco grew up playing basketball in Philadelphia, a sport he enjoys to this day. Stephanie has more than fifteen years of experience as a K–12 field sales representative. A proven relationship builder with a passion for improving students engagement, she spent the last seven years as a territory manager for Lightspeed Technologies, where she sold classroom audio solutions. Stephanie lives in Red Bank, New Jersey, and in her free time can be found listening to live music, fishing, or relaxing at the beach. Hailey is passionate about building strong, long-lasting relationships with clients and collaborating with them to solve problems and drive growth. She has served in business development and sales roles for PK–20 and corporate learning organizations since the 1990s. Her diverse edtech portfolio includes large publishers like Pearson, enterprise solution providers like Blackboard, and startups like Clever, as well as nonprofits and consulting firms. Hailey lives in Southern Oregon and enjoys the variety of outdoor recreation there. She is an avid swimmer and traveler, finding pools and making friends wherever she goes. The Institute for Education Innovation—also founded by ESC founder and president Doug Roberts—bridges the gaps between the individuals and organizations committed to seeing students succeed in school and life, creating a safe space for constructive problem-solving and innovative thinking. Learn more. Betsy is the founder of 230Trees, which advises innovators on projects designed to create scalability, growth, and impact. Acting as problem-solver, coach, or special ops team lead for executives and investors, 230Trees leads projects focused on lifelong learning, network and ecosystem development, and the application of emerging technologies to further both. 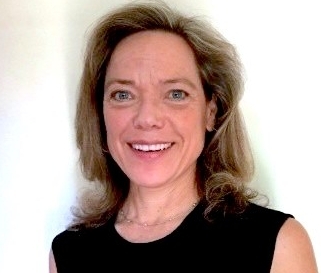 Betsy has worked at the intersection of business strategy and emerging technologies for the past twenty years, raising funds, building products, leading teams, and managing growth. As a founder, advisor, and senior executive in innovative ventures, she's developed leadership skills that translate vision into impact for partners, teammates, and clients. Grit City Creative is a consultancy specializing in strategic communications and education marketing. Jill helps organizations develop a sound strategy, create a realistic plan mapped to metrics that matter, and execute with artistry. She has served in sales, business development, and marketing roles at education organizations since 2005, and went launched her consultancy 2017. Nick is a copywriter and copyeditor specializing in the fields of education and academia. He has thirteen years of freelance work under his belt.